One of the most exciting initiatives to come out of libraries in the past few years is the development of eBook and audiobook collections available to library patrons. Students and staff at Canandaigua Academy have access to downloadable content through three library systems — Wayne-Finger Lakes BOCES, Pioneer Library System, and the New York Public Library. Access Overdrive using BravesLink; it’s in the HS Library folder. You are automatically logged in using your school credentials, giving you access to almost 300 eBooks and 36 audiobooks. This collection is growing, so check back to see what titles have been added recently. You can also install the Overdrive app on your iOS or Android device, then add the library Wayne-Finger Lakes BOCES. This will also log you in using BravesLink. OWWL2Go users will need a valid Pioneer Library System card — such as a Wood Library card — and their library PIN. OWWL2Go includes over 13,000 eBooks and more than 6,000 audiobooks. You can also install the Overdrive app on your iOS or Android device, then add the library Pioneer Library System. You will need your library card number and PIN to authenticate. If you live, work, go to school or pay taxes in New York State, you can get a library card for the New York City Public Library system, which gives you access to its digital collection — 120,000+ eBooks and 24,000+ audiobooks. Visit this NYPL website to get information on how to apply for and validate your NYPL library card. Once you receive and validate your card, you can use the number and PIN to access Overdrive. Add the library New York Public Library using the Overdrive app on your iOS or Android device. For more info on using any of these services, see Mr. Bateman in the library! Here’s a look at some of the latest nonfiction titles we’ve received at CA Library. Look for them in the New Books Section! 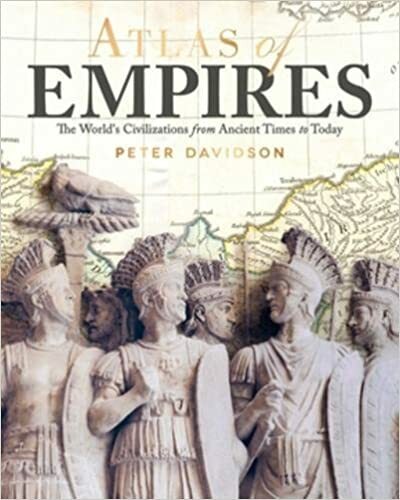 Atlas of Empires: The World’s Great Power From Ancient Times To Today by Peter Davidson — Tells the stories of imperial societies throughout human history and shows how they developed using detailed maps. “Thematically, rather than chronologically, organized, each chapter focuses on the rise and fall of a particular empire by examining the motives for expansion (economic, martial, or evangelical), the resistance or collaboration of the colonized, and the overall international situation at the time” (Booklist). Can Your Conversations Change The World? 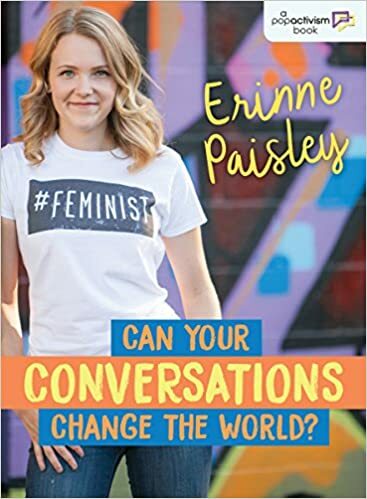 by Erinne Paisley — Looks at specific ways to use conversation as a social justice tool, stressing the importance of talking about feminism and continuing to fight for equal rights. “[Paisley] cites statistics from a white North American viewpoint, and the book’s inclusiveness only grazes the tip of the intersectional iceberg, but it’s still a good jumping-off point for budding feminists searching for an upbeat place to start” (Kirkus Reviews). 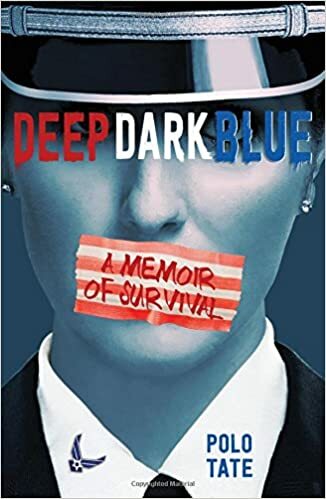 Deep Dark Blue by Polo Tate — A YA memoir of sexual abuse in the U.S. Air Force Academy, and the author’s survival and healing. Since starting basic training at the Academy, Polo Tate did everything right, from academics to athletics. But no one prepared her for what came next: physical, sexual, and emotional abuse at the hands of her superiors — and harassment from peers who refused to believe her story. “In the wake of the #MeToo movement, this gripping memoir reveals the pervasive effects of abuse of power, and the ability to overcome it” (Booklist starred review). 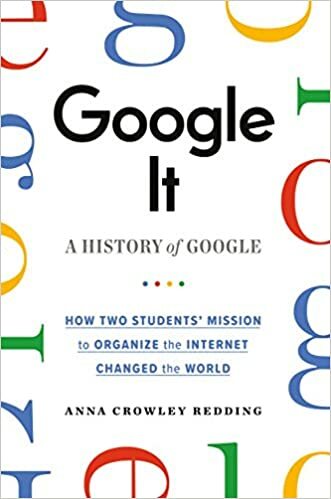 Google It: A History of Google by Anna Crowley Redding — The true history of Google—from its humble beginnings as a thesis project made out of “borrowed” hardware and discount toys through its revolution of the world’s relationship with technology to a brief glimpse of where they might take us next. “More comprehensive than other books for young readers about Google’s founders, with energetically written short chapters, interesting facts, graphics, and photos” (Booklist starred review). 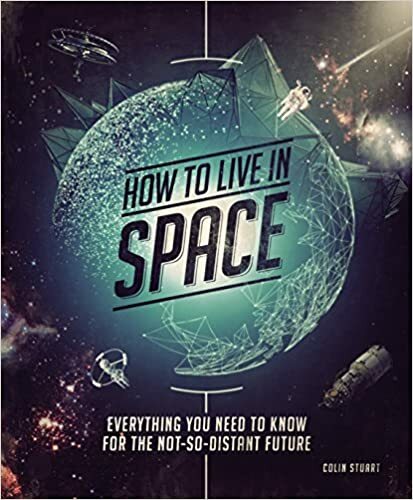 How to Live in Space: Everything You Need to Know for the Not-So-Distant Future by Colin Stuart — An amusing and informative illustrated guide to life beyond our own planet that covers everything from training for and living in space to the future of space travel and tourism. “In three information-packed sections, Stuart covers the basic training needed to survive a rocket-propelled launch, the nuances of gravity-free living, and a preview of humankind’s future on the Moon and Mars. An exhilarating virtual ride for space buffs everywhere” (Booklist). 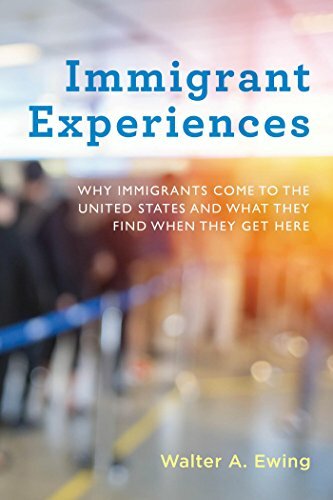 Immigrant Experiences: Why Immigrants Come to the United States and What They Find When They Get Here by Walter A. Ewing — Weaves together the varied strands of the immigrant experience using detailed historical and contemporary examples that move beyond stereotypes about immigrants to give readers a fact-based understanding of immigration to the United States. “Ewing resists easy political arguments, instead grounding his conclusions in solid facts … readers will appreciate Ewing’s frank analysis of this always complex and troubling issue” (Booklist). Mary Shelley: The Strange True Tale of Frankenstein’s Creator by Catherine Reef — On the 200th anniversary of the publication of Frankenstein, comes a riveting biography of its author, Mary Shelley, whose life reads like a dark gothic novel, filled with scandal, death, drama, and one of the strangest love stories in literary history. “Reef does an excellent job of putting Mary Shelley’s life and work in context. 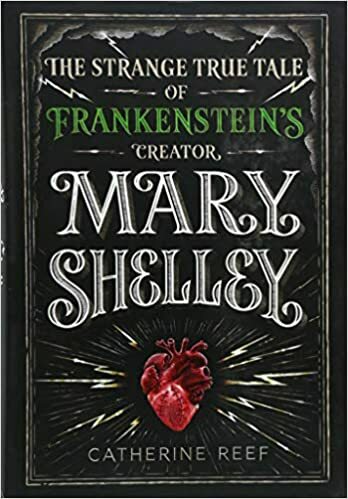 Teen fans of Frankenstein will be doubly rewarded by both an account of the inspiration for the novel and the fascinating, scandal-rich life of its author”(Booklist). 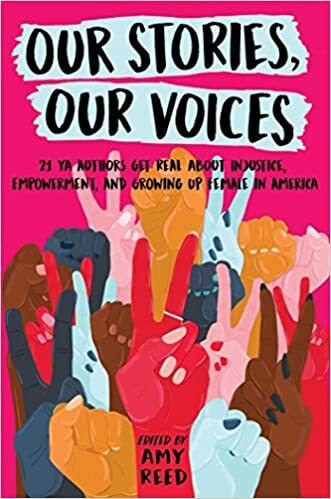 Our Stories, Our Voices: 21 YA Authors Get Real About Injustice, Empowerment, and Growing Up Female in America, edited by Amy Reed — A collection of essays by twenty one young adult authors that explore diverse experiences of injustice, empowerment, and growing up female in America. “Many readers will see themselves reflected in the pages of this collection and be inspired by the first-hand accounts of overcoming adversity. A great pick for budding writers and activists” (School Library Journal starred review). 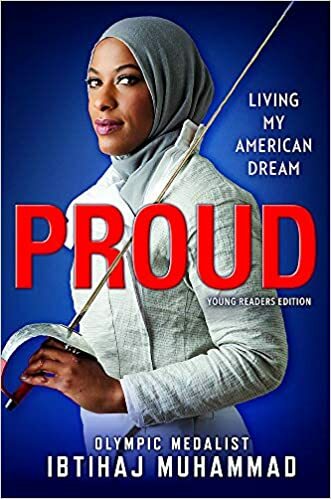 Proud: Living My American Dream by Ibtihaj Muhammad — At the 2016 Olympic Games, Ibtihaj Muhammad smashed barriers as the first American to compete wearing hijab, and she made history as the first Muslim American woman to win a medal. But before she was an Olympian, activist, and entrepreneur, Ibtihaj was a young outsider trying to find her place. “Readers who are already fans of Muhammad will love her even more, and all readers will gain much inspiration from this heartfelt memoir of a true American hero. Like Muhammad herself, this book is a timely gift to us all” (Kirkus starred review). 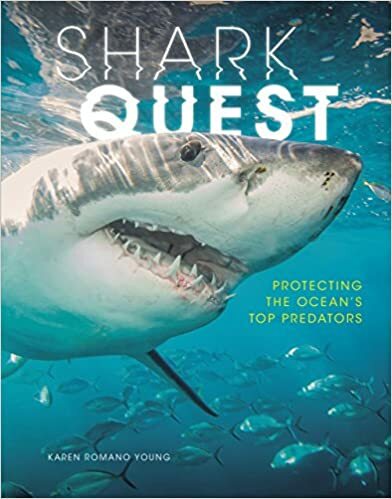 Shark Quest: Protecting the Ocean’s Top Predators by Karen Romano Young — Discover the work of scientists and conservationists as they study shark biology and morphology; research migration, feeding, and mating patterns; delve into human, climate, and other threats to shark habitat; and develop sophisticated technologies to aid sharks and shark research. “This is an engaging, well-researched book about a much maligned species of fish that deserves our protection” (Booklist). As one might expect, being a high school library serving teens, most of the books we buy for the collection are written specifically for young adults. However, we also get some titles that, while written and marketed for adults, have young adult appeal as well. Our book review sources — Booklist and School Library Journal among them — do an excellent job of bringing these titles to our attention so we can decide if we should add them to our collection. The Amazing Adventures of Aaron Broom: A Novel by A.E. 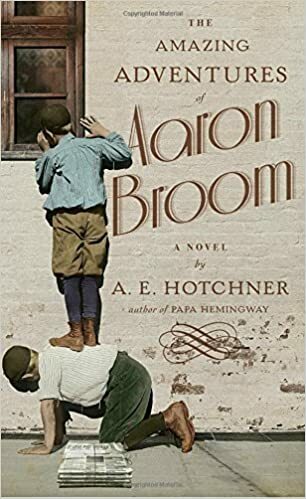 Hotchner — Street-savvy, almost-thirteen-year-old Aaron Broom is guarding his father’s car when he witnesses a robbery gone wrong in a jewlery store across the street. To Aaron’s shock, his father, a travelling watch salesman in the wrong place at the wrong time, is fingered as the prime suspect in the murder. “Younger teens who like historical fiction with a mystery twist will enjoy this highly readable crossover” (Booklist). 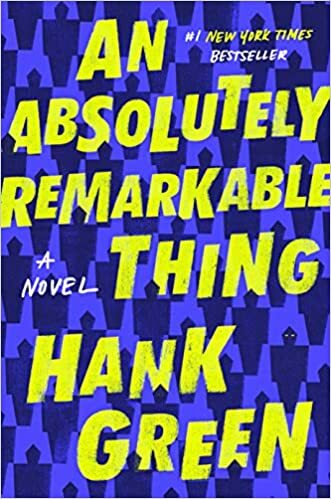 An Absolutely Remarkable Thing: A Novel by Hank Green — In his much-anticipated debut novel, Hank Green—cocreator of Crash Course, Vlogbrothers, and SciShow—spins a sweeping, cinematic tale about a young woman who becomes an overnight celebrity before realizing she’s part of something bigger, and stranger, than anyone could have possibly imagined. “At once funny, exciting, and a tad terrifying, this exploration of aliens and social-media culture is bound to have wide appeal to readers interested in either theme” (Booklist). 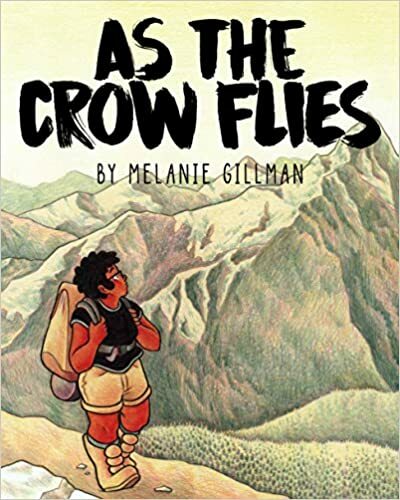 As The Crow Flies by Melanie Gillman — Charlie Lamonte is thirteen years old, queer, black, and questioning what was once a firm belief in God. So naturally, she’s spending a week of her summer vacation stuck at an all-white Christian youth backpacking camp. “With arresting artwork, this coming-of-age story, originally published as a webcomic, sensitively explores religion, spirituality, feminism, and friendship and perfectly balances thought-provoking moments with heartening humor” (Booklist). 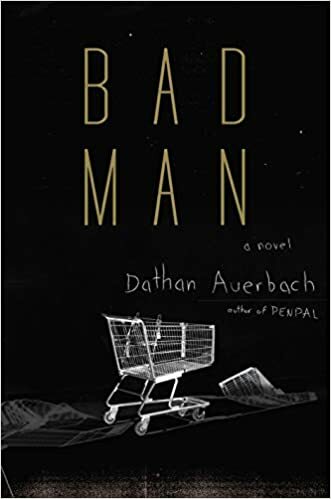 Bad Man: A Novel by Dathan Auerbach — Eric disappeared when he was three years old. Ben looked away for only a second at the grocery store, but that was all it took. His brother was gone. They say you’ve got only a couple days to find a missing person — that’s your window. That window closed five years ago, leaving Ben’s life in ruins. “This is a slam-dunk for YA readers, who will respond to the teen protagonist, the crappy minimum-wage job, the younger brother, and more” (Booklist). Check Please! Book 1: #Hockey by Ngozi Ukazu — Eric Bittle may be a former junior figure skating champion, vlogger extraordinaire, and very talented amateur pâtissier, but being a freshman on the Samwell University hockey team is a whole new challenge. 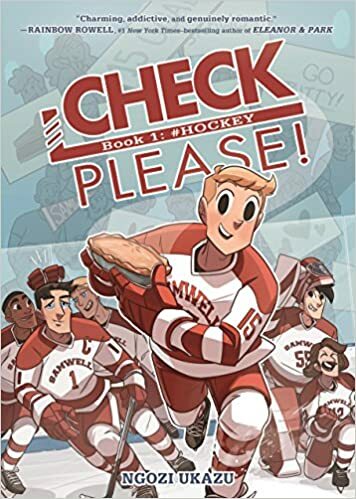 A collection of the first half of the megapopular webcomic series of the same name, this is a stirring coming-of-age story about hockey, bros, and trying to find yourself during the best four years of your life. “An irresistibly fun and utterly charming sports story. Volume two can’t come fast enough” (Booklist). 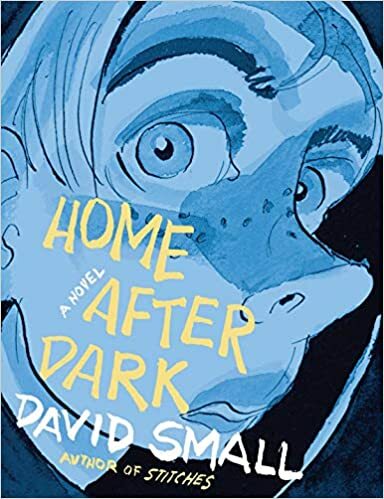 Home After Dark: A Novel by David Small — Wildly kaleidoscopic and furiously cinematic, Home After Dark is a literary tour-de-force that renders the brutality of adolescence in the so-called nostalgic 1950s, evoking such classics as The Lord of the Flies. “The illustrations, limited to pen, ink, and washes done in a simple, loosely sketched style, convey the nuanced range of emotion of all things left unsaid. Spare and powerful, this is not to be missed” (Booklist). 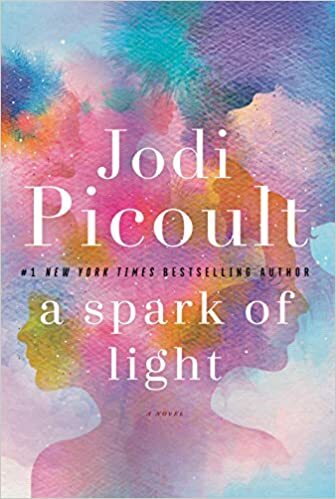 A Spark of Light: A Novel by Jodi Picoult — The warm fall day starts like any other at the Center — a women’s reproductive health services clinic — its staff offering care to anyone who passes through its doors. Then, in late morning, a desperate and distraught gunman bursts in and opens fire, taking all inside hostage. “Picoult’s two teen protagonists in very different circumstances will likely keep YAs riveted” (Booklist). 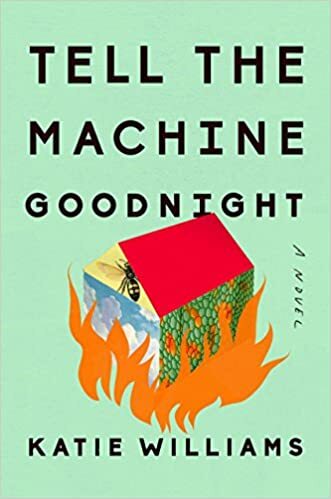 Tell The Machine Goodnight: A Novel by Katie Williams – Pearl’s job is to make people happy. As a technician for the Apricity Corporation, with its patented happiness machine, she provides customers with personalized recommendations for greater contentment. She’s good at her job, her office manager tells her, successful. But how does one measure an emotion? “Daring, inventive, and moving, Williams’ novel deftly illustrates that when it comes to happiness, there are no easy answers” (Booklist). 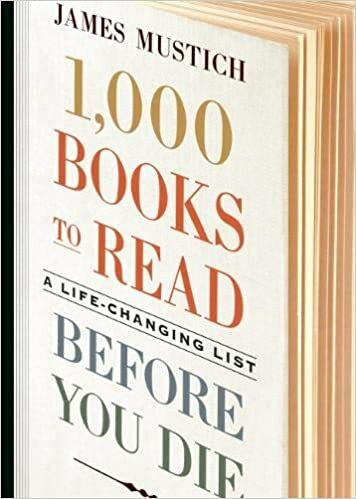 1,000 Books To Read Before You Die: A Life-Changing List by James Mustich — Celebrate the pleasure of reading and the thrill of discovering new titles in an extraordinary book that’s as compulsively readable, entertaining, surprising, and enlightening as the 1,000-plus titles it recommends. “Mustich’s informed appraisals will drive readers to the books they’ve yet to read, and stimulate discussion of those they have” (Publishers Weekly). 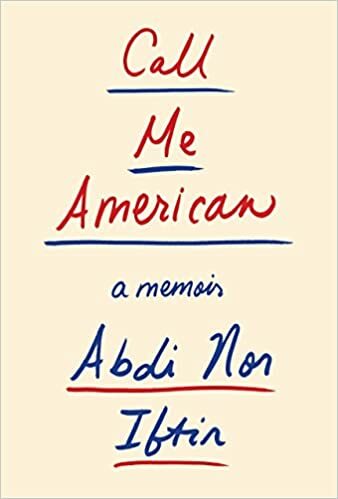 Call Me American: A Memoir by Abdi Nor Iftin — The incredible true story of a boy living in war-torn Somalia who escapes to America–first by way of the movies; years later, through a miraculous green card. Iftin’s dramatic, deeply stirring memoir is truly a story for our time: a vivid reminder of why western democracies still beckon to those looking to make a better life. “Absolutely remarkable and always as compelling as a novel… An essential immigrant story, one that is enlightening and immediate” (Booklist). The Poisoned City: Flint’s Water and the American Urban Tragedy by Anna Clark — Recounts the gripping story of Flint’s poisoned water through the people who caused it, suffered from it, and exposed it. It is a chronicle of one town, but could also be about any American city, all made precarious by the neglect of infrastructure. 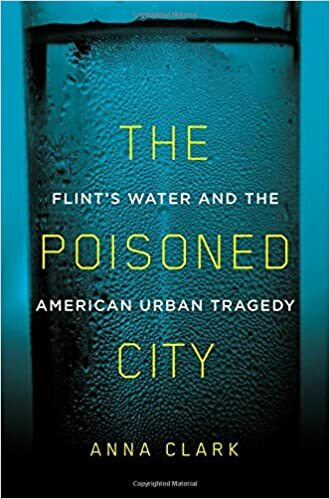 “In the first full accounting of the Flint water crisis, Clark combines a staggering amount of research and several intimate story lines to reveal how the Michigan city was poisoned by its leaders and then largely abandoned to its fate by state officials” (Booklist). Rage Becomes Her: The Power of Women’s Anger by Soraya Chemaly — Following in the footsteps of classic feminist manifestos like The Feminine Mystique and Our Bodies, Ourselves, this is an eye-opening book for the twenty-first century woman: an engaging, accessible credo offering us the tools to re-understand our anger and harness its power to create lasting positive change. 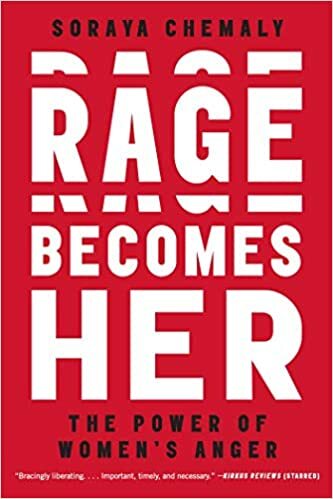 “Intelligent and keenly observed, this is a bracingly liberating call for the right of women to own their anger and use it to benefit a society ‘at risk for authoritarianism.’ Important, timely, necessary reading” (Kirkus Reviews). The Story of Food: An Illustrated History of Everything We Eat by Giles Coren — This visual celebration of food in all its forms reveals the extraordinary cultural impact of the foods we eat, explores the early efforts of humans in their quest for sustenance, and tells the fascinating stories behind individual foods. 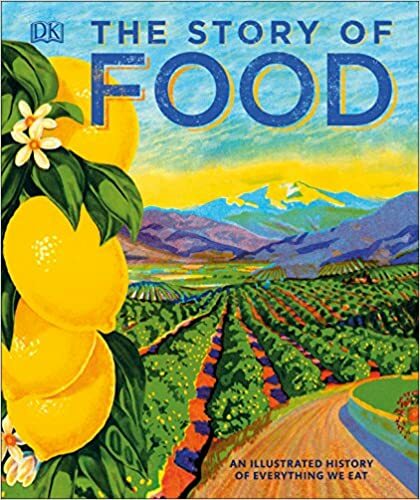 The Story of Food explains how foods have become the cornerstone of our culture, from their origins to how they are eaten and their place in world cuisine. 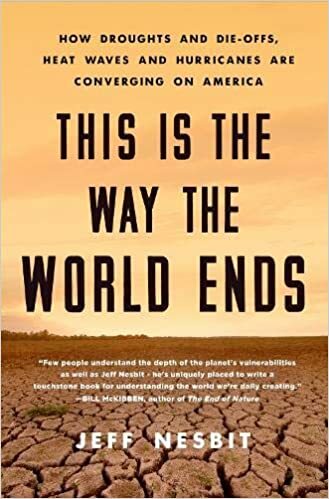 This Is The Way The World Ends: How Droughts and Die-offs, Heat Waves and Hurricanes Are Converging On America by Jeff Nesbit — A view of climate change glimpsed through the world’s resources that are disappearing, this book tells the real stories of the substantial impacts to Earth’s systems unfolding across each continent. Nesbit then provides a blueprint for workable solutions. “Nesbit’s clear, concise style is supported with current scientific findings that anyone will find easy to connect with and understand. This prescient and timely book seeks to bring climate change into the realm of relatability. 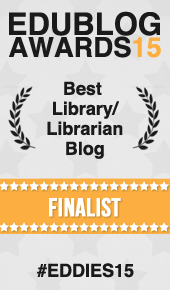 Recommended for all readers” (Library Journal). 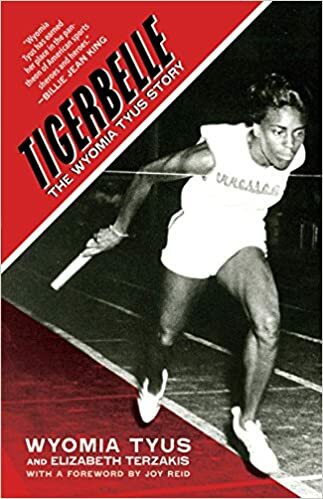 Tigerbelle: The Wyomia Tyus Story by Wyomia Tyus and Elizabeth Terzakis — In 1968, Wyomia Tyus became the first person ever to win gold medals in the 100-meter sprint in two consecutive Olympic Games, a feat that would not be repeated for twenty years or exceeded for almost fifty. Tigerbelle chronicles Tyus’s journey from her childhood as the daughter of a tenant dairy farmer through her Olympic triumphs to her post-competition struggles to make a way for herself and other female athletes. “Tyus’ moving memoir not only recounts her athletic triumphs but it also makes indelible statements about growing up black in the South, social activism, gender equality, and inclusion” (Booklist).